Wildcat (Felis silvestris) found throughout most of Africa, Europe, and southwest and central Asia into India, China, and Mongolia. In Poland it is encountered only in the south of the Carpathians.The wildcat physically resembles a domesticated cat in most respects. They typically breed only once a year, although a second litter may be produced if the first dies early. Wildcats live alone in large, dense forest complexes and prefer to hunt at night. Most prey are rodents, small birds. In Poland wildcat is protected. It comes from eastern Asia. Very expansive, established in Poland in 1955. Color spotted fur is black and silver to dark brown with yellow. Living in a wooded area. Reaches the size of a small fox. It feeds mainly amphibians, rodents, invertebrates, birds. Active mostly at night. As the only canine he hibernates for the winter. In Poland he isconsidered as a pest hunting. Raccoon (Procyon lotor) Originally appeared in North America, from 1930, when he repeatedly escaped from fur farms, was also reported in Europe (now also in Poland). From the outside similar to racoon dog. A favorite places of occurrence are areas of wet, swampy forests and banks of rivers and lakes. Excellent at walking through the trees and good swimmer. For the winter he gather stores of fat and sometimes falls into a slight hibernation. It is omnivorous. The mating season in February, March. After about two months the female gives birth to 4-8 young. 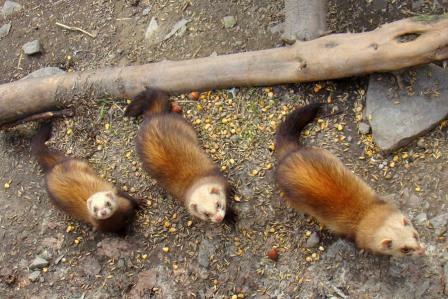 Ferret (Mustela putorius furo) They typically have brown, black, white, or mixed fur. Ferrets are crepuscular, which means they spend 14–18 hours a day speeping. Mule It is a hybrid of horse mare and donkey stallion. 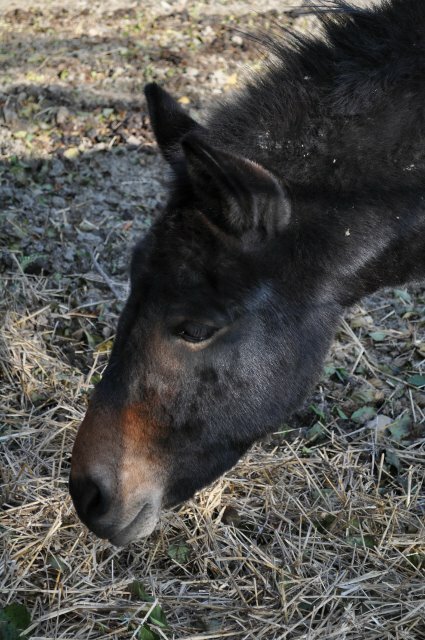 Most are infertile, only about 5% of female mules is fertile. From the outside, looks more like a horse. Height at withers up to 180 cm. Mules are very robust and efficient at work. They have a small nutritional requirements. Used especially in mountain areas as draft and pack animals. Sometimes used in place of a donkey in onotherapy. 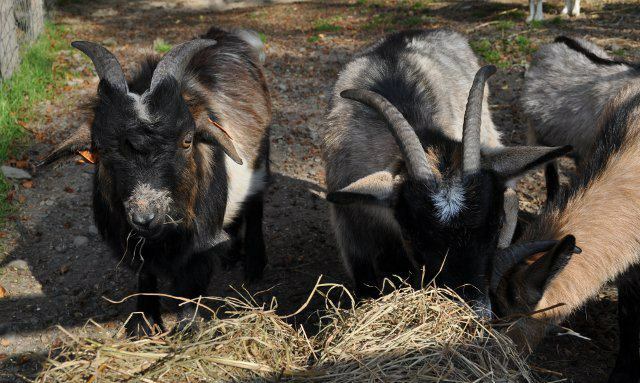 Occasionally seen in Poland, in the world bred mainly in the Middle East, Asia, Africa and the Americas.